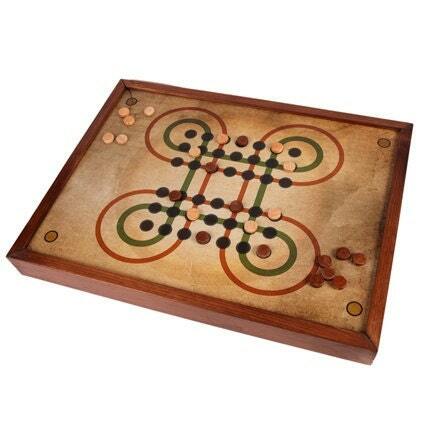 This ancient asian board game is handmade in wood and decoupage, and it is designed for you to hang it up in the wall as a picture if you want. 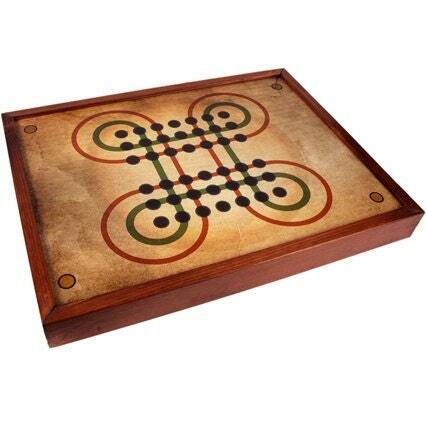 It has a rear storage to store the pieces when you are not playing. 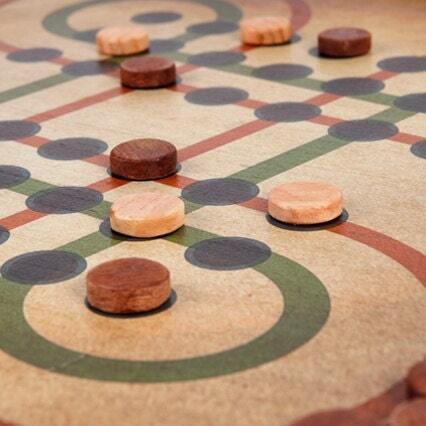 The pieces are also made by hand in wood and the design is based in ancient models. Arrived in about two weeks. Beautiful workmanship. Great product. Thank you for you concern when I contacted you.